Japan is set to announce a $100 billion plan to invest in roads, bridges, railways and other building projects in Asia. Prime Minister Shinzo Abe is set to unveil a five-year public-private partnership. As Jiji Press reported, “The envisioned assistance is aimed at demonstrating Japan’s stance to contribute to building up high-quality infrastructure in Asia through human resource development and technological transfers and showing the difference from the AIIB, so that Japan can keep a high profile in the region.” Learn more with the full article. For the first time Apple sold more iPhones in China than the United States. 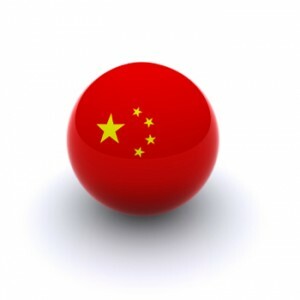 Apple’s iPhone sales in China skyrocketed recently, increasing the revenue in China by 71% to $16.8 billion. This was certainly helped by the upcoming Chinese New Year. Chief Executive Tim Cook also says that it’s a result of China’s expanding middle class. In the last quarter, Apple sold a total of 61.2 million iPhones, up 40% from the year-ago quarter. It sold 12.6 million iPads, which is actually down 23% from a year ago. Read the article to get all the details. A recent report released by sports marketing research company Repucom on Monday shows the trend of investment in sports sponsorship from the Asia into US sports franchises. The report was entitled “Emerging Giants” and explains that, in the last two years, Asian businessmen have invested approximately $1.1 billion in US sports franchises. South Korea will host the 2018 Winter Olympics and the 2022 World Cup will then be staged in Qatar. The report explains that, as long as the economies in the Middle East and Asia remain strong there is no reason to assume that their investments in sports will slow down. Read the whole article to gain more depth about this interesting economic change. Is Asia on a Spending Binge? 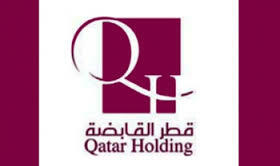 Qatar recently acquired a small part of Lifestyle International Holdings in Hong Kong. This may be indicative of the start of an Asian spending binge. What this means for the near future is that Qatar may very soon be investing in other Asian regions including: China, Japan, Singapore and South Korea. The total amount spent could reach $15bn. This is new for Qatar, which, via the Qatar Investment Authority (QIA) has primarily made investments in Europe, with businesses like Barclays, the Canary Wharf Group and Harrods. Now, with its move into Asia, Qatar is doing something new. Another potential region for investments is Turkey. The Hassad Food Co. is planning on investing in Turkey’s country poultry, dairy and meat sectors. As it stands right now, 90 percent of Qatarian food products are imported. Hassad was launched to secure supplies. And then there is real estate investment, linked to the FIFA World Cup that is set to be in Qatar in 2022 and all the infrastructure preparations involved in that. Real estate prices are elevating due to increasing demand for infrastructure land. Chinese investment in American real estate from 2013 through the end of the first quarter of 2014, totaled close to $6,000,000,000. This indicated that, at some point in the not-too-distant future, China may make larger investments into the US than Canada and Australia. Back in the 1980s, it was Japan that had this role; it was the Japanese firms peaking US real estate investments. Moving over to South America, Chile is escalating Chinese investment, especially in the infrastructure and energy industries. Currently Chile exports quite substantially in copper, fruit, wine and seafood. In 2007, China was the largest recipient of Chilean imports. This was likely connected to the fact that two years earlier, a free-trade agreement was signed between China and Chile. As well, over the last couple of years, the average annual growth of import-export and export-import between the two countries reached over 20 percent. In 2013, Chinese ODI reached $108bn — an increase of 22.8% from 2012. This turned China into one of the largest investors in the world. However, despite this optimistic statistic, many of these investments fail. Indeed, according to Chadbourne & Parke investment consultant Edwin Lee, the figure of failed investments is approximately 30%. This might be because many Chinese businesses require successful interpersonal relationships to be at play – in other words, bribery. And that is not easy for a business to guarantee. Today’s FDI figures in China are looking good; they have plummeted to a four-year low. But is China responding to this? It seems not. Just a couple of weeks ago, when Lou Jiwei addressed G-20 finance ministers in Australia, he said that his country “will not make major policy adjustments due to changes in any one economic indicator.” China seems to be taking a backseat vis-à-vis its interventionist policies. Independence is all very well, but some experts are warning that it might be too soon for China to go this route. This is indicative of the fact that Jiwei’s comments resulted in the SHCOMP to plummet 1.7 percent overnight, which was a second decline in five trading sessions. Chinese investments are the way forward in some areas. But Chinese firms need to realize that they are playing in a global arena and act accordingly. At the beginning of last month, India’s internet retail industry encountered substantial profits. This put it in the top three web-using region, boasting 74 million users. This is an increase of 31 percent since 2012. This has led to an increase in India of online shopping, escalating the country’s e-commerce market by 66 percent last year, with a value of $16bn. Not only is this figure huge, but compared to the rate of the rest of the world – which stood at 18.3 percent – it is even more impressive. As well, within the next decade, it is expected to be valued at a staggering $56bn. In addition, according to Snapdeal (an Indian e-commerce site), is planning to sell properties online. The idea is to offer affordable housing, in conjunction with the Tataconglomerate. This is the first such endeavor that India has encountered. When the project starts, around a thousand units will be offered in cities including: Ahmedabad, Bangalore, Chennai, Mumbai and Pune. Moving on to Singapore investments, a recent US-based report valued a gaming company at $1bn – higher than other US tech companies. This is indicative of Singapore’s local tech industry advancing with additional venture capitalist investments and acquisitions over the last few years. Singapore was ranked 27th on the list of the top Internet companies by market from the World Startup Report. Indeed, it appears that South East Asia is one of the “fastest growing regions in the world,” vis-à-vis tech market. As such, Singapore’s gaming industry has been hailed as a “milestone” for the country’s start-up ecosystem, by CEO of the National Research Foundation, Professor Low Teck Seng. Singapore has what to learn from India in the fiscal realm. According to Prime Minister Lee, India has been proving how social media technology can be used to enhance the quality of government, in particular through the MyGov platform. For more information on this endeavor, click here. 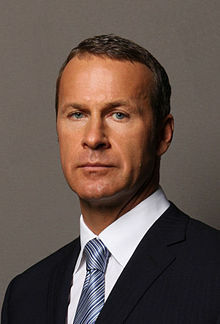 Vladislav Doronin, real estate developer and owner of Amanresorts opening first city hotel in Tokyo. After acquiring the upscale luxury hotel group Amanresorts last March Vladislav Doronin has placed his focus on developing his hotels in exotic, faraway locations such as Amanpuri in Thailand and Amanyara in Turks & Caicos, until now. Vladislav Doronin, Russian real estate developer, is about to open his first big city hotel in Tokyo, Japan. September 2014 is the expected date for the grand opening of Aman Tokyo, which will be part of Tokyo’s famed Otemachi Tower. The Otemachi Tower is just a short walk to Tokyo Station and the grounds of the Imperial Palace, an indisputably excellent location for anyone interesting in seeing the sites of Tokyo or doing business there. It is likely that the hotel will take up the top floors of the tower, affording guests a panoramic view of the city below and the exquisite Mount Fuji in the distance. More details will follow after the hotel opens later this year. Historically, it was western countries exporting to and investing in eastern countries. That has not been the case though for some time now. In the UK’s Chancellor of the Exchequer George Osborne’s recent statement, it was announced that £120m in funding is being allocated to new investments into India from the UK. These days the west actively looks for investments in the east. 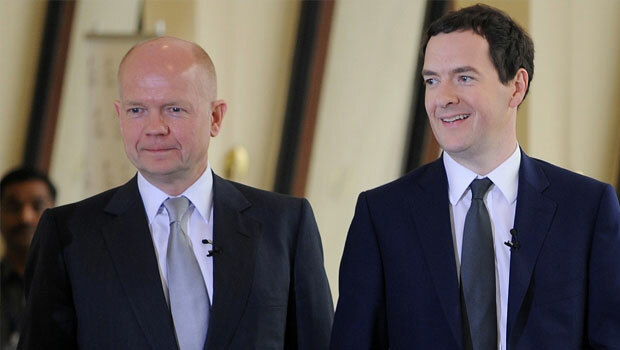 Thus Osborne went with British PM William Hague to Mumbai to seek out investments. Some examples of these include: Cipla – a Mumbai-based pharmaceutical firm – to invest £100m into the UK for drug-based research; Mahindra – automotive manufacturer – investing £20m into the UK for the development of its electric vehicle technology, with the hope of having a car on sale in the UK within the next 12 months. JCB – construction machinery manufacturer – is set to open a further two plans in India. In total during the trip, the deals amounted to approximately £370 million (around Rs.3,800 crore). Since 2010 there has been an escalation in UK exports to India by 50 percent as well as an increase in imports by a third. A plan has been put in place to boost investments in the Asia-Pacific Region (APR). The recent Asia-Pacific Economic Co-operation (APEC) conference encountered discussion on improving conditions in the region for potential investors. It is believed that there is plausible reason to anticipate a boom in trade. 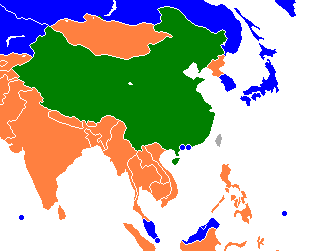 APEC – launched at the end of 1989 – connects America, Australia, Canada, China, Japan, Malaysia, and other countries, totaling 21 members. Its most recent meeting was held a few days ago in Qingdao, China, with a goal of boosting partnership relations in the region. 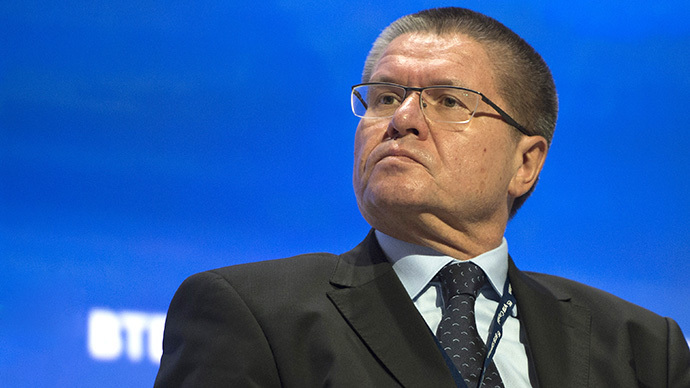 Russian Minister of Economic Development Aleksey Ulyukayev expanded on the specifics of the goals. He said the aims were boosting activity on the Doha Round format, improving conditions in the Asia Pacific region, making a better case for Kazakhstan to join WTO.